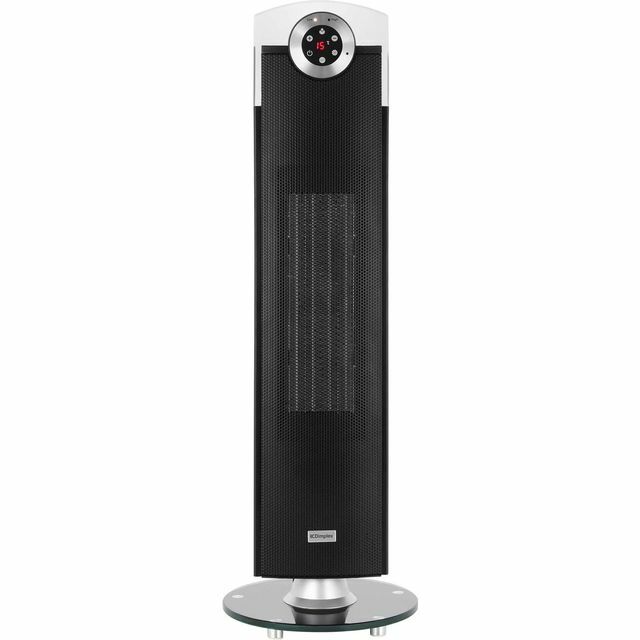 With its sleek, streamlined design, this Dimplex fan heater will fit easily into any room. Thanks to its 2500 Watt power output it’ll have no problem warming larger spaces and with 2 heat settings to choose from, you’ll always be able to find the ideal temperature. This model has an oscillation function as well, which helps it to circulate warm air more widely. The handy timer means you can set it to switch on or off at a time that suits you best, while the clear LCD display makes it easy to see the settings. Very efficient. Heated our large room quickly. Easy to move around. Temperature display useful as was remote control. Sleek and easy to use heater. Very quick to warm up our conservatory and not too noisy either. We are very pleased with out purchase! The heater looks good and is really easy to use and setup. It's not as quiet as we thought it would be, but still heats the room up efficiently. Overall happy with the product. Very pleased with the heater. Warmed our shepherds hut very quickly and can be adjusted for heat out put. Remote control is handy as the hut can be warmed up from our bedroom prior to occupation. Design makes it hard to knock over. Overall a great product and Which Best Buy. This is not only a very attractive looking heater it actually is fit for purpose,it heats a room very quickly and quietly instructions says press set button on remote which can be confusing as there is no set button shown on remote it should read "MODE BUTTON" that is one con and the other is the length of the power lead. overall a very good heater which works well I would recommend this heater.